On Tuesday, the students met in the commons area during lunch to participate in two more battles in our Mock BOB. 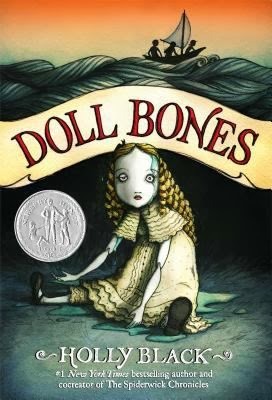 The first book up was Doll Bones by Holly Black. I was concerned about this particular title because one student had started the book, but returned it with an explanation that she did not care for it so she could not finish it. Did the mean that Julian felt the same and would not be able to champion it? However, he wowed me when he arrived with his speech printed out and ready to go. 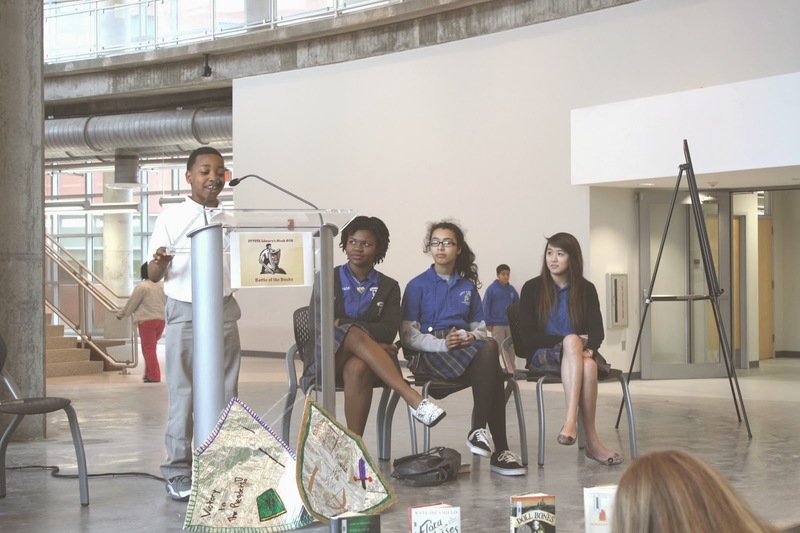 He stepped up to the microphone and belted out his reasons for why his classmates should select his book as the best. One of the students who was to defend Eleanor and Park by Rainbow Rowell pulled out, so I stepped up. The students have to present twice at high school lunch and middle school lunch, so that meant that I had to do the same. I was able to speak eloquently the first time around, but I sort of botched it the second time. Oh well, it isn't about me anyway, it is about the kids. Lauren also stood up to defend Eleanor and Park, and she did a marvelous job filling in the blanks that I left out. When the votes were tallied for both middle and high school, Rowell's book won out. It seems that both the boys and the girls like a good love story. It seems that SLJ's author judge agrees. 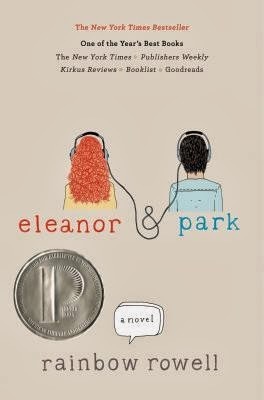 You can read Lauren Oliver's reasons for selecting Eleanor and Park in this battle here. The fourth battle began with Taylor explaining how Tom McNeal's book is one of the best books that she has read in a long, long time. This is a student who reads constantly, and teachers often have to confiscate her books because she is reading at the wrong time. Anyway, when she loves a book, she really means it. You can listen to her talk about this book here. 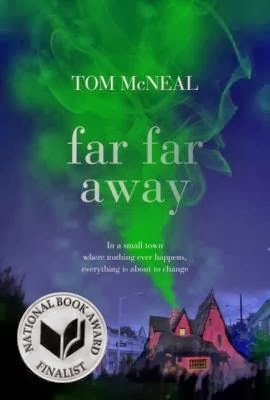 Mary Ann also stood up to explain the reasons that she liked Far Far Away which include the way the author used the ghost of Jacob Grimm as the narrator and the many twists that the tale takes before it reaches an end. Then Paris stood up to explain how Flora met the squirrel, Ulysses. 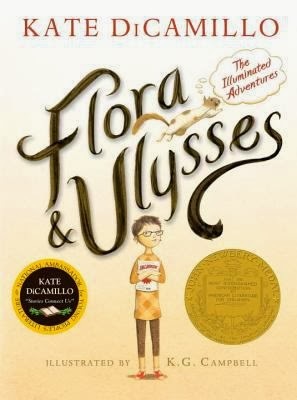 As a senior, Paris is not the demographic of reader that DiCamillo was seeking with this work for middle schoolers, but Paris did enjoy Flora's story. She found the characters engaging and thought it was an entertaining read. However, when the votes were counted, it was McNeal's take on fairy tales that trumped DiCamillo's work.